In residential treatment centers and therapeutic boarding programs it is crucial that the right lessons be taught alongside the life and coping skills that get a teenager through their crisis. Where those lessons come from varies. But a favorite source is the Founding Fathers, who can teach many lessons of which your troubled teen can benefit. Integrity Is Paramount – Our word is our binding law, a difficult lesson for young people (who are notoriously fickle) to learn. Integrity is an ongoing process, something we live on a day to day basis. We show it by making promises and keeping them, even when it is hard to do so. Stand By Your Convictions – It is easy to live by your convictions when no one is challenging them. It is a different matter when there are others who are trying to stand in the way. The Founding Fathers knew this and chose to break away from what they saw as tyranny, even in the face of opposition in and out of the country. Have Courage – There is a lot to fear in the world and your teen is probably facing quite a lot of it as they look forward into the unknown. Learning to be brave in the face of fear is a skill that will help them for the rest of their lives. Create Something New – Not everything old is beneficial in the modern world. The way things have always been done has to change at some point. The creation of the United States was an experiment, one that paid of. Making something new is always a risk but often worth it. Mistakes Can Be Made – Reading the constitution is a process of recognizing the mistakes our Founding Fathers made. Slavery is one glaring example of a huge mistake that will haunt us as a nation forever. Big and small missteps, some tragic, are normal in life. 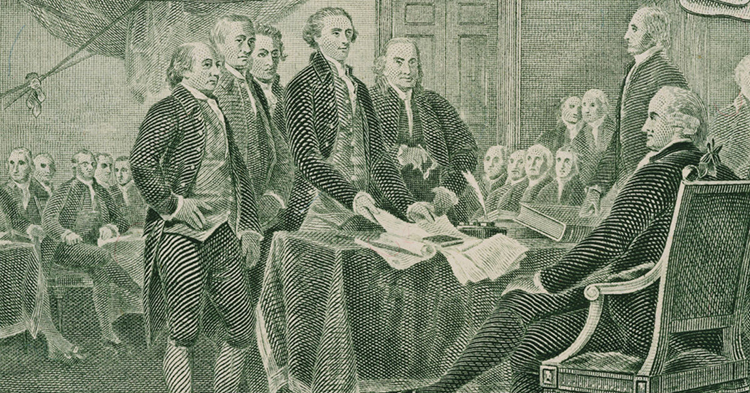 It’s Ok To Disagree – Debate was heated during the creation of the Declaration of Independence. Few agreed on what to put within it and it took months or revision and fighting before the final document was made. But something amazing still came out of those disagreements. Compromise Is Critical – Learning to compromise is among the greatest of life lessons. You won’t always get the things you want, the way you want them. But that doesn’t matter…you can still compromise and live with what comes out of it. Team Players Get Results – Teamwork is almost always going to be better than solo work. You get the benefit of everyone’s expertise and effort. It exponentially grows the positives of the final result until you have something truly unique. Learn As You Go – The Founding Fathers didn’t know what they were doing when they created the country, They learned as they went, finding the best solutions as problems arose. Loyalty Is Earned – No one deserves loyalty for nothing, it has to be earned. This is an important lesson for teens, especially where friends are involved.